Aurora Specialty Textiles produces automobile tape backing used in a multitude of different applications in the automotive industry. This cloth tape backing can be paired with a wide range of adhesives. Our automotive tape backing is engineered to endure the pressures and heat of the automotive application. Aurora’s automotive tape backing is designed to meet the stringent fire retardant guidelines of the automotive industry. All tape backing products are created based on customer needs. Please click the button below to find the tape backing expert for your region. 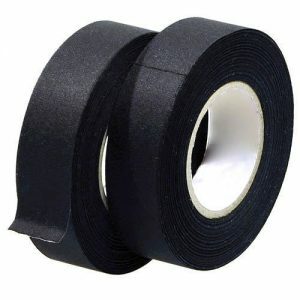 We will help you create your ideal automotive tape backing. Standard roll length is 2,500 yds. Custom roll sizes are available. If you have any questions regarding our automotive tape backing, or any other pressure-sensitive tape backing, please click here to see the contact for your area.